Additionally Samsung exhibited a 49-inch CHG90, the HDR (high dynamic range) QLED monitor at IFA 2017. The CHG90 expands the workspace while offering panoramic views of figures, diagrams and charts within a single screen. So what’s so special about a bunch of monitors!? Samsung’s customizable CH89, CH80 and SH85 monitors drive a more comfortable, ergonomically-friendly workspace. 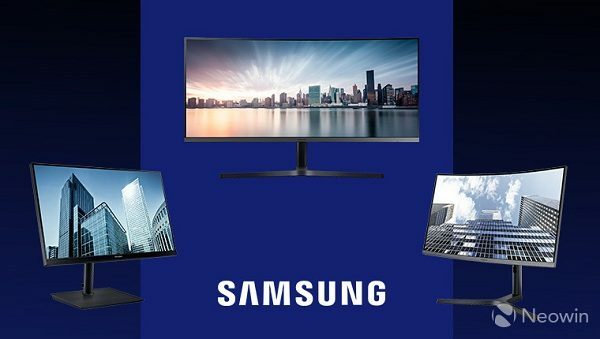 Samsung’s latest professional monitors are designed to depict documents and imagery with optimal clarity and color presentation, amplifying minor or otherwise hidden visual details. The CH89’s ultra WQHD resolution (3,440×1,440) produces a sharp presentation with nearly 2.5 times the pixel density of FHD, creating a wider and more colorful workspace. The SH85 follows suit with WQHD resolution (2,560×1,440) that delivers detailed imagery with nearly 1.8 times more pixel density than standard FHD monitors. All three displays contain a height-adjustable stand as well as swivel and tilt capabilities, allowing users to set the monitor at their ideal viewing distance and position. These models also include Samsung’s Flicker Free and Eye Saver features, which deter harmful visual effects that can otherwise cause eyestrain during long-term usage. The CH89, CH80 and SH85 feature the USB Type C interface for seamless connectivity, as well as optimized clarity and color presentation at the ultra WQHD (CH89), Full HD (CH80) and WQHD (SH85) resolutions. The monitors also feature a three-sided, bezel-less design, with the CH89 and CH80 further amplifying the bezel-less effect through an 1800R curved structure. By streamlining setups that typically required multiple screens and equipment to a single monitor, the compact displays additionally free up coveted workplace space and reduce maintenance. The CH89, CH80 and SH85 displays empower professional users to access, load, view and share content efficiently and quickly. These models include a dedicated USB Type C interface, enabling transmission of data, Display Port (DP) signals and power within a single-cable connection. Beyond removing excess wires from the workspace, the USB Type C composition ensures compatibility with personal laptops, tablets and mobile devices for seamless, port-driven content exchange. Users can view documents and images from their smaller personal screens on the larger monitor without losing visual quality. 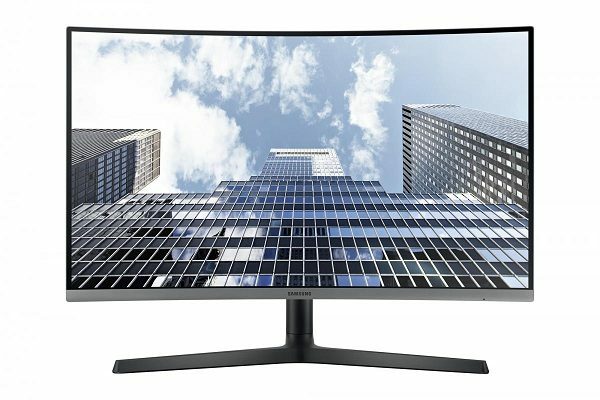 Samsung exhibited a 49-inch CHG90 at IFA 2017. The CHG90, a HDR (high dynamic range) QLED monitor that expands the workspace while offering panoramic views of figures, diagrams and charts within a single screen, will blow your mind! This ultra-wide size prevents users from having to combine two 27-inch monitors to complete their tasks, and also deters the misalignment and central bezel interference that come with such arrangements. It also has an addition Easy Setting Box screen optimization technology to make professional use of this screen possible. Coupled with its HDR QLED picture quality, the CHG90’s size accommodates a range of content while upholding a clear, colorful and true-to-life presentation. The CHG90’s Picture-by-Picture functionality allows users to connect and view input sources without degrading the original image quality. The CHG90’s extensive connectivity, including DP, Mini-DP, HDMI and USB ports, also welcomes content sharing to and from external personal devices. So there you have it; CH89, CH80 and SH85 monitors launched at IFA and a third monitor that’s basically straight out a video gamer dream!! Are we already in Samsung Heaven? ?